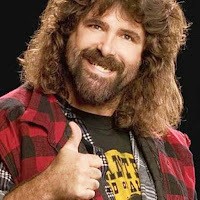 Below is video from the new Fan Q&A special with Mick Foley on the WWE Network. Foley was asked about his favorite up & coming Superstars. He named NXT Champion Tommaso Ciampa, Ember Moon, RAW Women's Champion Ronda Rousey, Alexa Bliss and Kevin Owens, also giving big praise to one veteran - Chris Jericho. "I've been a fan of Tommaso Ciampa for a long time, I have. I love what he and Johnny Gargano are doing," Foley said. "I love the face that Ember Moon, creating eyeballs right away. Just yesterday I was watching a replay... I think Ronda Rousey's doing a tremendous job, I really do. She's coming around really quickly and part of what helps any good babyface or good guy or woman along the way is a great heel, and I think Alexa Bliss has developed into a great heel. "I admire Kevin Owens' guts for going places as a heel that other heels won't go. When he was on top of the Cell with Shane McMahon, the crisis of confidence he had, when he was about to go but he didn't want to, and he knows that, some guys are so concerned with being the cool heel, they're not willing to show fear. Kevin will do whatever it takes and he will turn any promo given to him into a work of art. Although Jericho is not an up & comer by any ways, I really admire the way he's constantly evolving. I tell younger up & coming wrestlers to watch Chris Jericho because he never relies on one thing too long." Foley went on to praise Jericho for being able to get anything over and said he really marvels at what Jericho has done. Foley also said he tells everyone to look to Jericho as an example of how to constantly evolve.